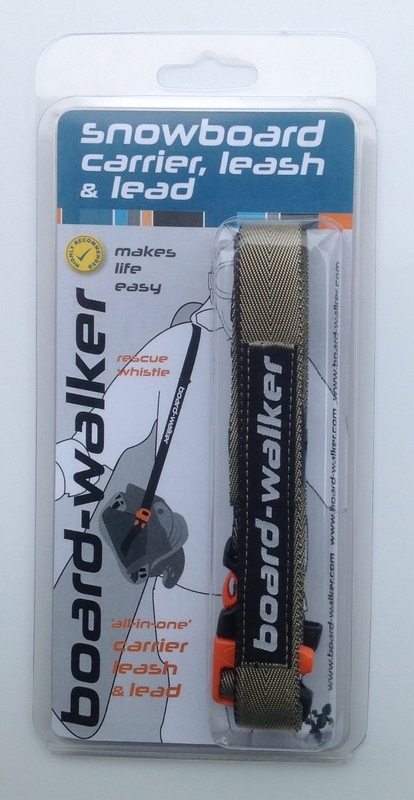 The board-walker is a leash that is long enough to be used as a snowboard carrier as well. It all attaches using buckles and as an added bonus it includes an emergency whistle, just in case you are in any difficulty. The board-walker is also very quick and easy to use.